Within hours of Trump administration appointee Daniel Simmons taking over the the Office of Energy Efficiency and Renewable Energy, the Department of Energy renewed efforts to block or roll back energy efficiency standards that save consumers hundreds of millions of dollars annually. 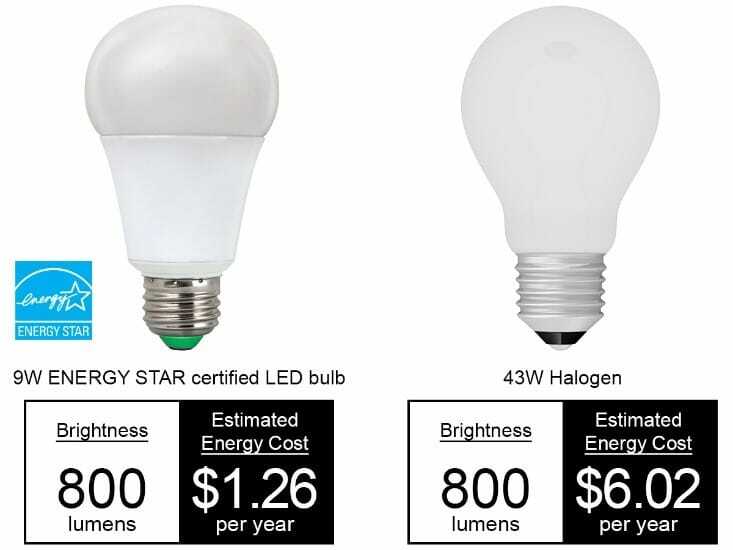 d lighting efficiency standards that save the average US household more than $500 annually. 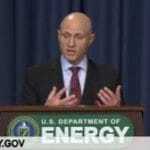 In this newest effort, DOE proposals would amend the rule-making process to raise and make more arbitrary the energy savings requirements proposed rule must meet, make it more difficult to demonstrate that the rule would achieve the required goals, and encumber the consideration process with additional and unnecessary steps that will delay and, in some cases, stymie issuance of the proposed rule. DOE is also going after light bulb efficiency standards. In 2020, bulbs used for track lighting, recessed lighting, bathroom vanities, and decorative fixtures would become subject to energy efficiency requirements, a move that would save consumers nearly $12 billion annually. Finally, even as it promulgates new procedures to block rule-making that enhances energy efficiency, DOE is failing to meet its current legal obligations to to review and update existing efficiency regulations. According to Lauren Urbanek of the National Resources Defense Council, the Trump administration DOE has missed deadlines for reviewing and updating at least 16 regulations as well as an unknown number of test procedures. umers more than $5 billion on electricity bills this year and, by 2025, the number will reach $22 billion. That’s about $180 in savings for the average household, money that will ripple through the economy to create an additional 115,000 jobs by 2025. The rollback on lighting standards proposed by the Trump administration would cut the savings and the job growth by more than half. 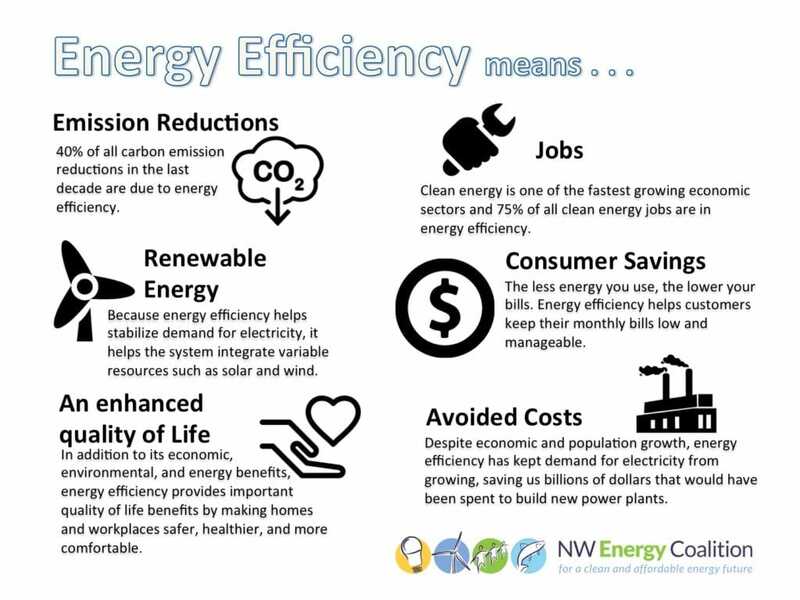 Other non-energy benefits of energy efficiency include improvements in health, safety, and comfort as a result of upgrades to homes and increased worker productivity as a result of improved workplace conditions. Another often-ignored benefit of energy efficiency is that many measures can be implemented quickly, which means the benefits start accumulating almost immediately. Upgrades to existing structures and the replacement of outmoded equipment and appliances can start the day policies are adopted creating benefits that grow over time. That’s important when we’re racing against clock to prevent the worst consequences of climate change. Finally, combined with demand-side management practices, energy efficiency reduces both overall and peak demand for electricity, which makes it easier for energy systems to integrate new renewable resources such as wind and solar. We need to go forward, not backward on energy efficiency. Advocates from around the country will make that clear when DOE holds hearings a public meeting on the proposed on March 21.